Thanks for visiting H&L Coffees and Wine Co.! 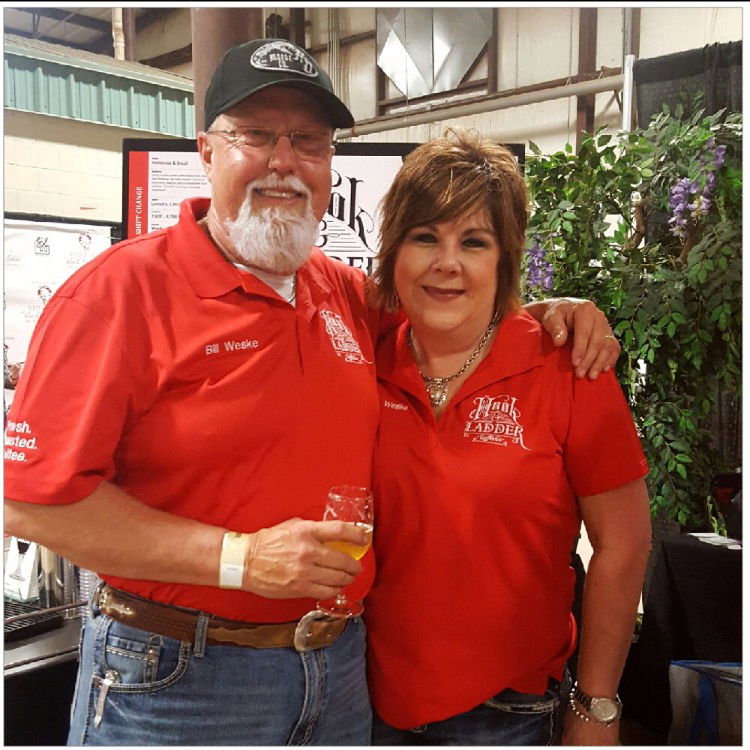 All About H&L Coffees and Wine Co.
Hook & Ladder Coffees and Wine Co. is co-owned by Jon and Pam Reese and Bill and Lauri Weske. The idea of roasting delicious, easy drinking coffee, and serving exquisite wine straight from a local urban winery was born out of a love for business, community, family, faith, and FUN. 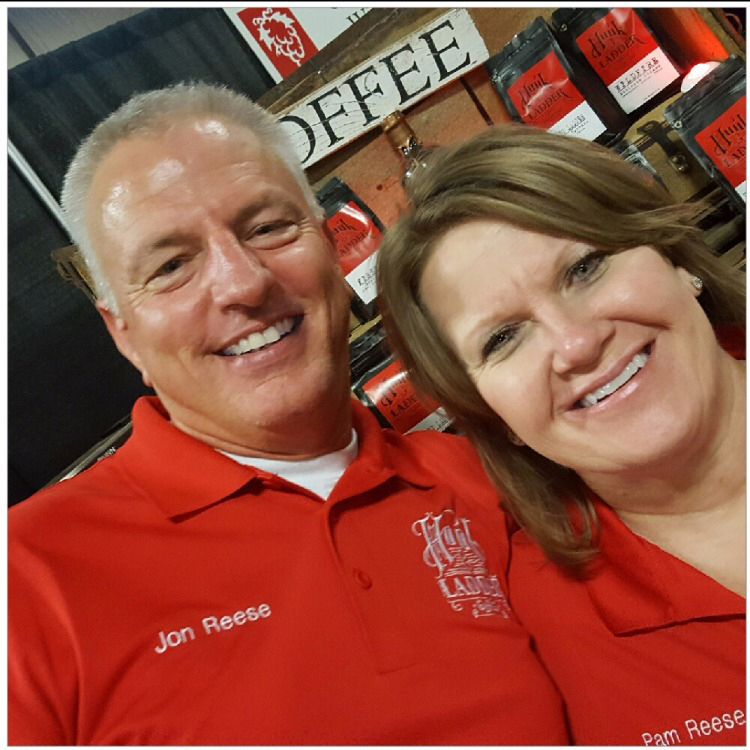 Jon and Pam are partners in Texoma Ice Company, a packaged ice manufacturing and distribution company formed in 2004, and have used this small business experience to create H&L Coffees and Wine Co. along with Bill and Lauri. Jon is a 33-year veteran of the Wichita Falls Fire Department, an all career, 161 member department, where he proudly serves as the Fire Chief. Pam is a part of the North Texas Ophthalmology Associates Team, and serves as a Technician. Bill is the retired Assistant Fire Chief and served the community for 33 years. His dedication and love for the Fire Service was evident throughout his career. Lauri is a Nurse at Hospice of Wichita Falls, a true calling for a very special cause. Her compassion shows daily as she dedicates her life to providing care for those in Hospice Care. The “theme” of H&L Coffees and Wine Co. celebrates the thousands of men and women around the world who provide public safety day in and day out. Jon and Bill’s proudest professional achievement is, without a doubt, being able to lead the BEST firefighters anywhere! And now we’re proud to devote ourselves to local business and roasting the best Wichita Falls coffee! We hope that your family and business will be pleased with our single origin coffee beans and wine available online in Texas. Our coffee beans are always small batch artisan roasted right here at our shop. Our wine comes straight from the first urban winery in our area. Come join us for some delicious Wichita Falls coffees and wine!